The word DevOps is an amalgamation of the terms development and operations. In the world of Information Technology (IT), it is defined as a modern strategy used by software companies for combating issues related to software delivery. DevOps bridges the gap between the development and operations teams through a shared or collaborative approach to the tasks performed by them. It enables companies with the ability to develop and release features quickly with continuous feedback. This technique enhances the overall communication efficiency among teams and increases the software delivery speed. In the past, IT companies followed two main methodologies when it came to software development: Waterfall and Agile. The waterfall method followed a linear design approach where the development was divided into various phases. The agile method followed a non-linear model where each feature was built and tested throughout the development cycle. It was better than the waterfall approach as it reduced risk and improved efficiency. Although the agile method enhanced development, the delivery process followed a waterfall approach. As a result, the delivery cycle time increased as developers needed to start debugging from the beginning if a problem was discovered during deployment. This was when the term “DevOps” was formulated. 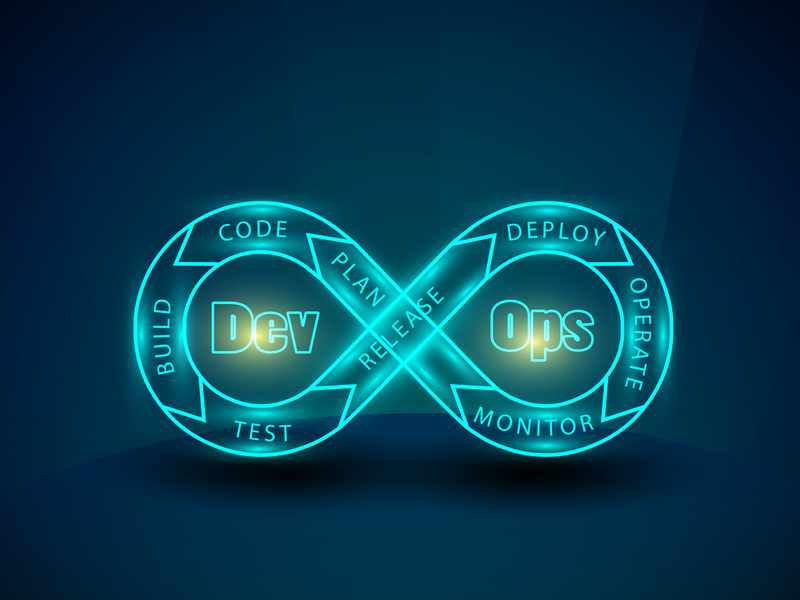 DevOps combined development and operations along with the principles associated with agile methodology, which could increase the overall delivery efficiency and lower unnecessary bottlenecks. It has benefits such as overcoming all pitfalls of the waterfall model, reduced lead time between software fixes, and reduced failure. 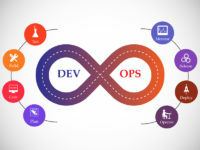 DevOps Professionals are expected to have a complete understanding of the Software Development Lifecycle (SDLC) and should have knowledge or experience in using automation tools for developing digital pipelines. They need to work with both developers and the IT operations staff to oversee product code releases. 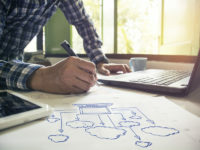 They should also be able to manage and handle IT infrastructure as per the supported software code dedicated to hybrid clouds or multi-tenant environments. A DevOps engineer needs to have a good grasp of agile methodology principles and the interconnection between teams and company goals. He or she should be an excellent sysadmin, have good programming know-how, and have experience with testing and deployment. Communication skills are a must as they need to work closely with developers. – Good hands-on knowledge of Configuration Management and Deployment tools like – Chef, Ansible, Puppet, etc. DevOps is an evolving field in the software industry. It’s already in high demand in countries all over the world. Many companies in India are increasingly on the lookout for engineers who could take on a DevOps role and willingly go outside the comfort zone of their current role. As long as the desire to learn new tools is inherent, a DevOps engineer can get started as DBA, a sysadmin, a developer, QA, etc. and get involved with other teams in an organization. India has been a go-to-market for global IT MNCs in the last ten years. It has seen a lot of investment in new and existing projects, along with the setting up of development centres in all parts of the country. This has resulted in the creation of a wide number of job opportunities, especially in DevOps. With the emergence of exciting new technologies such as Cloud Computing and Artificial Intelligence, DevOps roles are going to be available in plenty. Apart from foreign investment, India has been a breeding ground for a huge number of technology startups in cities such as Bangalore, Gurgaon, Chennai, and Hyderabad. Almost every startup has a fast-paced work environment. Getting their products out on time will be crucial for their business. DevOps executives will be highly sought-after by these firms for accelerating their product delivery process. According to a report by MarketsandMarkets, the DevOps market size is expected to grow up to $10.31 Billion by 2023, due to the increasing need for high-quality fast application delivery. Thus, the career opportunities for DevOps engineers are immense. To successfully venture into a DevOps role, software engineers need to have passion, dedication, and the eagerness to cross train beyond their existing job profiles. DevOps will be a challenging, high-impact, and critical role for every organization in the future and India will be at the forefront of it.